Product innovation, collaborative development, and the ability to provide complete system solutions are the drivers for Tulmar’s continued success in the survival & rescue product sector. Tulmar holds an expertise when it comes to search and rescue equipment. We carry lines of equipment (as seen below) to assist in the safe rescue of individuals and groups. Some of our equipment is available to request online. See our catalog for more information. SAR Single Person Life Raft – Primarily designed for survival of SAR personnel when deploying in a maritime environment, Tulmar’s SAR single-person life raft incorporates improved stability and improved functionality in extreme cold-weather environments. 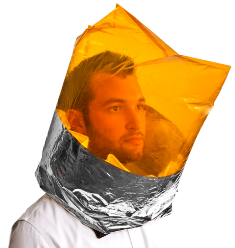 The canopy accommodates SAR specific clothing and equipment including dive fins while an inflatable floor, face shield and integrated bailing tube provide protection from the elements. 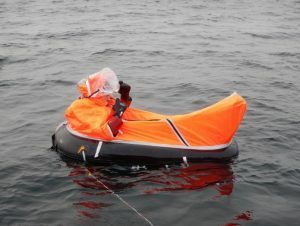 Arctic 6XL Life Raft – Developed for aerial deployment by SAR teams, Tulmar’s Arctic 6-person life raft has been enhanced to provide benefits to survivors in an Arctic environment. When deployed onto an ice floe the system is anchored to the ice and the life raft inflation is manually activated with nitrogen gas. 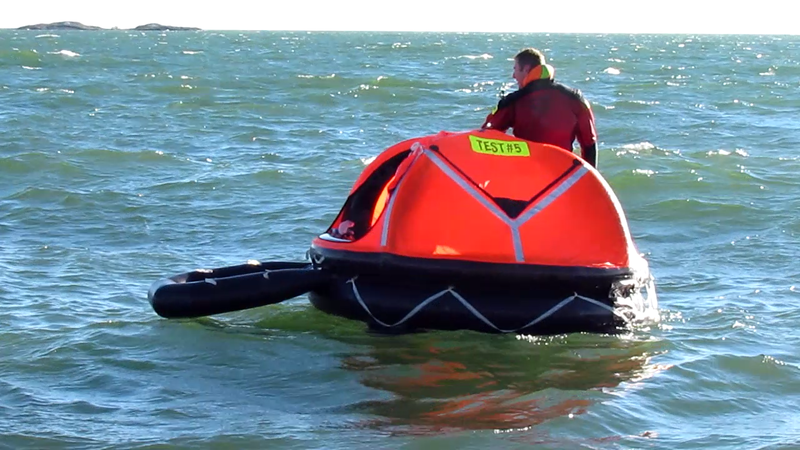 For regular marine use, the life raft activates automatically on water contact. The buoyancy chambers are reinforced to resist abrasion, chaffing and puncture from wind buffeting on the ice surface or submerged in ice pack conditions. With the canopy fully enclosed survivors are sheltered and in the event of the ice melting the raft remains inflated. Vacuum Packed Systems for Helicopter or Submarine Operations – For helicopters, the 6XL life raft, complete with ancillary equipment, is vacuum packed to 1 atmosphere and stowed in a dual compartment valise – one compartment holds the life raft, the other holds survival equipment. The vacuum packed system ensures the low volume will fit into confined spaces on rotary aircraft. Alternatively, a hard-case can be provided. The container is affixed to the aircraft floor with a 4-point release system and may be removed easily with a single action, taken by a survivor outside the aircraft and manually activated once away from the sinking aircraft. Upon inflation, the survival kit remains attached to the life raft and can be hauled in once the survivors board the life raft. For submarines, Tulmar has developed a vacuum pack system for on-board storage that provides a surface abandonment capability. 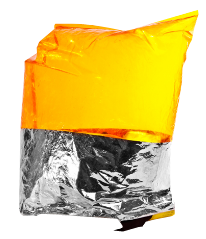 An added benefit of the vacuum packed system is an extended maintenance cycle of three years for the life raft while the separately packed survival equipment can be readily accessed for inspection and replacement of time-expired items. 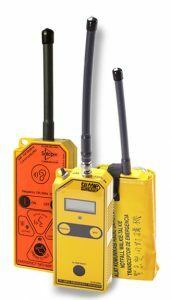 These communicators have been developed in response to a market demand for a low cost, simple to use, fully immersible emergency radio. It provides a means of communication in a distress situation where they can not be reached and no alternative communication method exists. AM & FM Bands are available. Tulmar is the authorized distributor for the Essex Protective Breathing Equipment (PBE) in Canada. 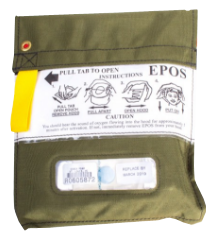 The Emergency Passenger Oxygen System (EPOS) is a self-contained protective breathing device intended for trained individuals in military aircraft emergencies such as decompression, fire, evacuation, rescue, smoke-filled cabins, toxic fumes or hazardous cargo spills. The Protective Breathing Equipment (PBE) supplies oxygen to crew members through the use of compressed aviator grade oxygen. 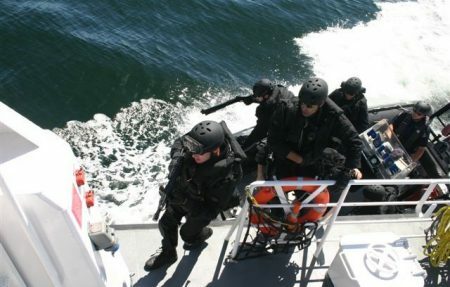 From tactical life jackets to backpack assault boats, we develop and build flotation solutions to accommodate the demanding requirements of tactical users. Tulmar’s HammerheadTM (patent protected) is an extreme-buoyancy, constant-wear tactical PFD designed specifically for Waterborne Tactical Operations. With 65 lbs (289 N) of buoyancy, the HammerheadTM provides the ultimate in protection when carrying tactical loads of 50 lbs or more. Comfortable and light-weight, the PFD does not interfere with tactical vests or ballistic protection. The Hammerhead is designed to be integrated with a YatesTM or similar climbing harness. Quick-release hardware enables easy donning and doffing. Automatic actuation convertible to manual mode. 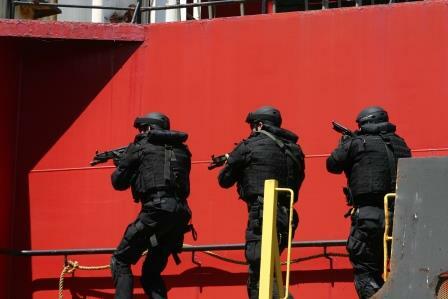 Canada’s Naval Boarding Teams use the HammerheadTM. When seconds can make the difference between life and death, LifeRampTM ice-and-water rescue systems combine speed, strength and stability in the most advanced all-weather, multiple-victim rescue system ever. LifeRampTM is ideal for use where most rescue systems become unsafe — on land or in a watercraft. 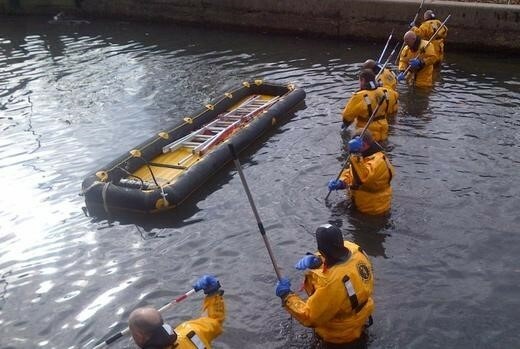 Its tough neoprene chamber inflates in 8 to 12 seconds to get your rescue team onto the water fast! 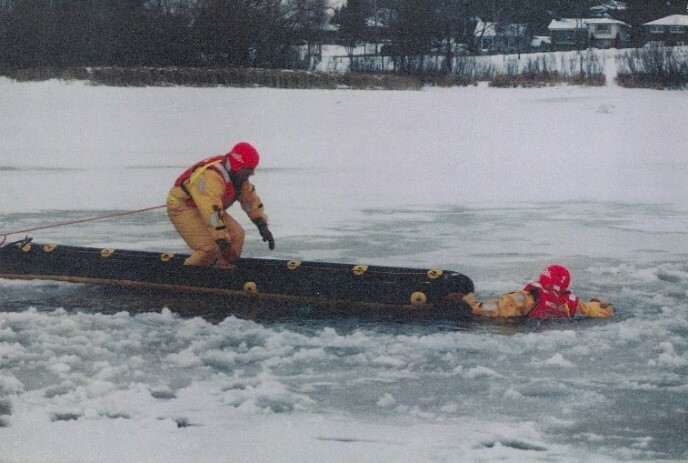 Using a ramp-to-ramp coupling line, two LifeRampTM platforms of similar length can work in tandem to leap from ice floes or get around obstacles and reach victims by the shortest possible route. More buoyant than any other rescue system on the market, the LifeRampTM supports 50 times its own weight, allowing multiple victims to walk to safety on a single platform. 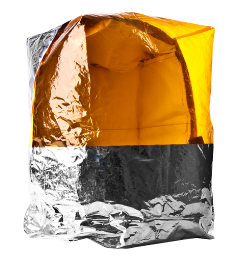 When the job is done, the LifeRampTM deflates and is stowed away in minutes, dramatically reducing downtime and eliminating re-packing charges. 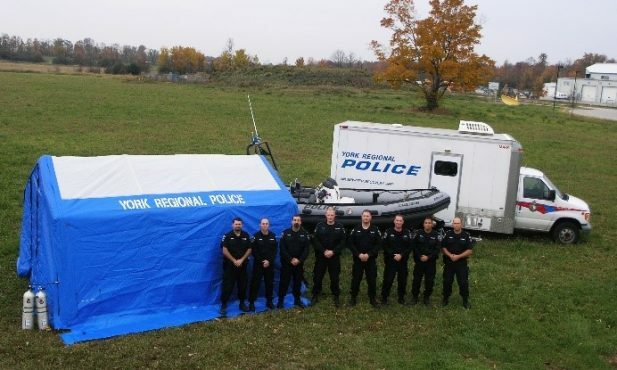 Rugged, Modular, Rapidly Deployable – Tulmar’s inflatable shelter system was developed to meet the requirements of RCMP tactical response teams for EOD, ERT and CBRN. The modular design allows canopies, end walls and floors to be easily detached for repair or replacement. 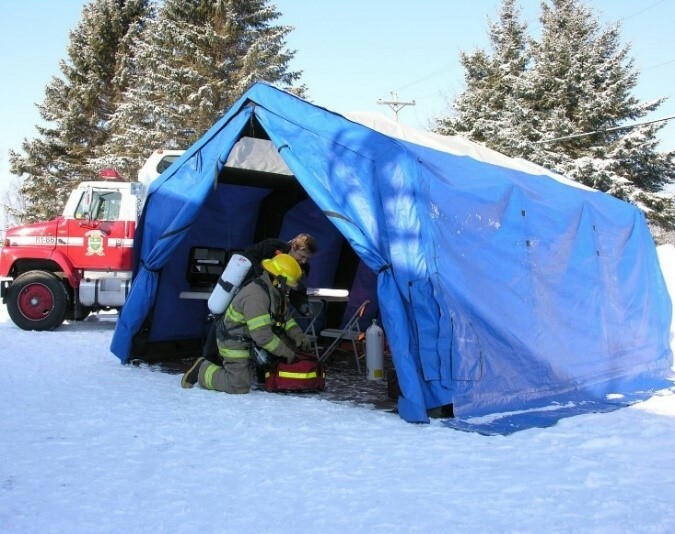 Interconnect panels are available to join multiple shelters of various sizes for custom configurations. Can be erected in less than 5 minutes—simply unpack from valise and inflate.